SMC Pneumatics (Australia) has found a niche market for their quality Japanese pneumatic control systems with their use in bus doors. 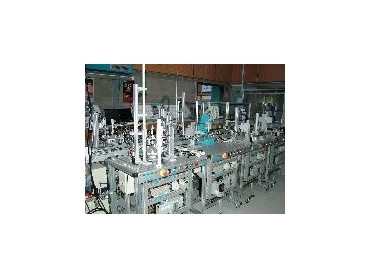 Chisholm TAFE's automation training system. CHISHOLM TAFE, in Victoria's manufacturing heart of Dandenong, is doing its part to address the skills shortage - and to attract new recruits to the Australian manufacturing industry. A recently-installed training module that simulates an entire assembly line for training purposes not only ensures graduates are highly skilled, but also that prospective students are informed about the sophisticated reality of modern manufacturing. As part of a five year overhaul of its training facilities, Chisholm TAFE in Victoria has installed a revolutionary new training module - the first of its kind in Australia - that has been designed to replicate an entire automated production line. "The training system is part of a project focusing on preparing students with hands-on experience in the new and emerging technologies in the manufacturing industry," said TAFE project officer Kevin van Leeuwen. Designed and built by SMC Pneumatics , van Leeuwen says the system will change the way tomorrow's manufacturers are educated. "Chisholm TAFE conducts a lot of training on pneumatics and hydraulics," said van Leeuwen. 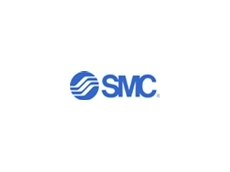 "We've had a long association with SMC and in 2004 approached them to investigate the viability of working together to advance manufacturing through introducing advanced training systems into learning institutions." At the time, SMC Pneumatics in Spain had recently developed such a system and Chisholm TAFE then proceeded to compare it to a number of similar products from other suppliers. It found that the SMC model was more up to date, better overall value for money and allowed greater flexibility with regards to the manufacturing systems that could be replicated. The training module was subsequently purchased and was first used in 2005. It has since been used to upskill tradesmen in automated manufacturing as well as educating students studying for their advanced diploma in mechatronics and robotic systems. "While it is still early days, the results from using the system have so far proven it was a very good investment," said van Leeuwen. "Students benefit from the hands-on experience and knowledge the system allows. One particular aspect they enjoy is that the machine can be faulted and they then have to use the knowledge they have gained to fix the problem." Training on the SMC-developed system is now a standard component of the syllabus for advanced engineering students and is achieving great success in expanding students' understanding through what van Leeuwen describes as its 'holistic, real world' approach. In an effort to attract school-leavers into manufacturing, Chisholm TAFE also brings groups of high school students to tour the facilities. 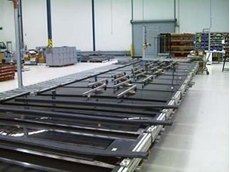 While such tours in the past have been designed to expose students to manufacturing, van Leeuwen claims that the new training system impresses upon them, more than any other method, the high tech and sophisticated nature of modern manufacturing. "We're yet to see from our 2006 enrolments whether it has made a significant impact on potential students, but at least those who do enrol will have a realistic idea of what manufacturing is all about,' he said. "The kids who see our set-up think the robots are fantastic and are really impressed - it has helped combat the common views students have of manufacturing as boring, repetitive and dirty." According to van Leeuwen, Chisholm TAFE is extremely satisfied with its SMC training module and would encourage other training institutions or corporations with large training needs to consider installing such a practical, hands-on system. "If an organisation or institution looks at actual industry demands and what is happening in areas such as advanced automotive manufacturing, they will recognise that sophisticated, industry-relevant training is essential," he said. Van Leeuwen praised SMC for designing schemes aimed at furthering expertise and interest in manufacturing. "Too often equipment suppliers are reactive - they design and manufacture products that manufacturers themselves identify as necessary to further industry innovation," he said. "However, our long association with SMC has proven they are different. They work with industry to develop ideas, systems and products that are propelling industry forward. Hand in hand with this commitment is excellent support and reliable back-up service."